We love using a muffin tin for cooking everything but muffins. 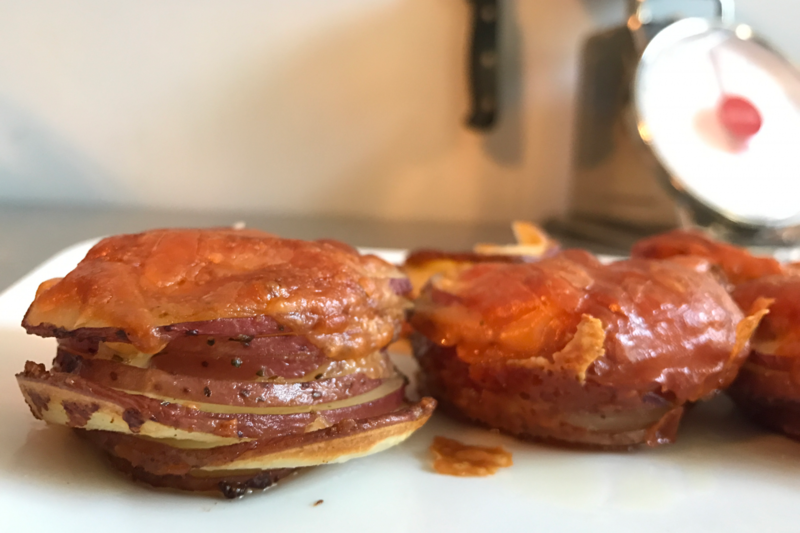 It’s the perfect way to cook these potato stackers! Using a mandolin slicer (or a steady hand and a sharp knife) thinly slice red potatoes. Use about one potato for each hole in your muffin tin. We used 4 big red potatoes. In a large bowl, mix the potatoes with a drizzle of olive oil. Add Madison Park Foods Tuscan Verde Seasoning to taste. Add as much or as little shaved parmesan cheese as you like. Fill muffin tin with stacks of potatoes until they reach the top.